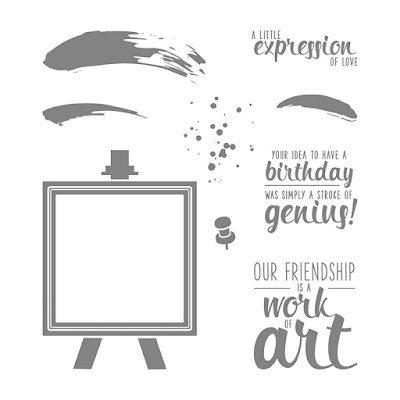 In the new catalogue there is a fun new stamp set called Painter's Palette, which features this lovely canvas into which you can stamp some artwork and/or a message. 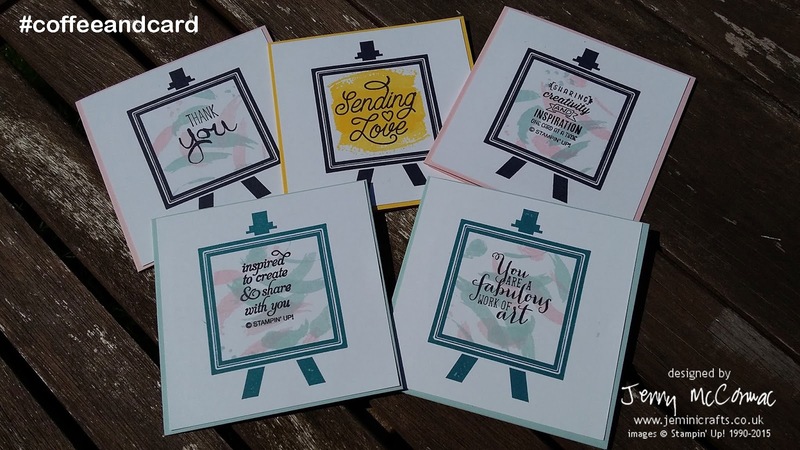 There are lots of uses for this stamp set (shown below); when I get a chance to play further I will share them with you. I am in the middle of preparing for this months card classes, so no more playing for me this evening!